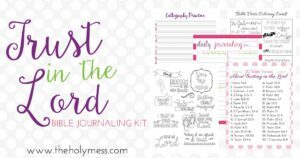 Do you long for quick and easy Bible journaling ideas? 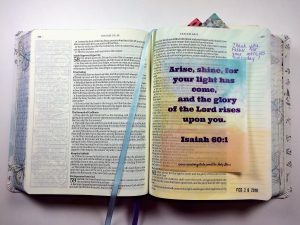 Do you sometimes feel you lack the creativity for Bible journaling? 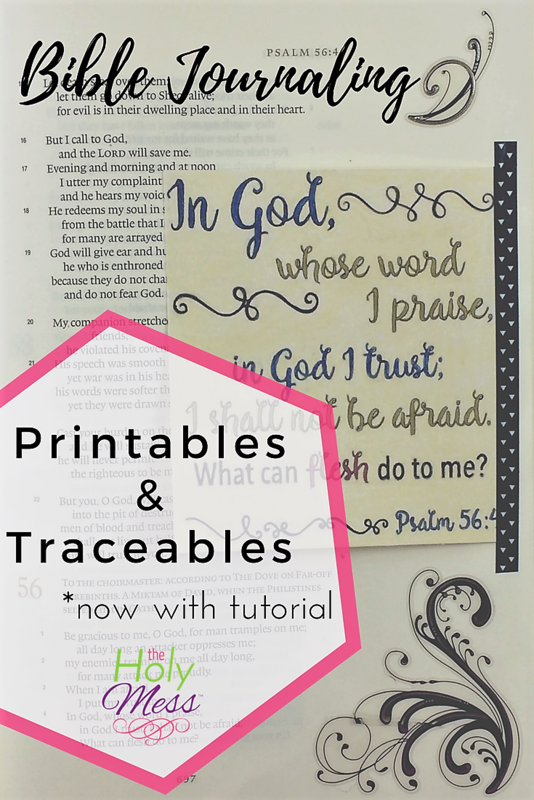 Bible Journaling with Printables and Traceables can easily bring your pages to the next level. Do a quick search for “Bible journaling” and you are bound to find lots of digital content. If you are on a budget and lack lots of storage space (and what woman isn’t) then digital content may be a great option for you. 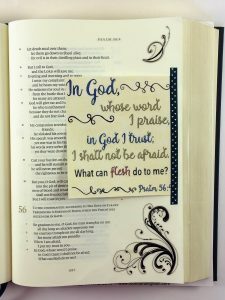 Let’s say you have found the perfect margin strip or verse card for your page, but what do you do with it? 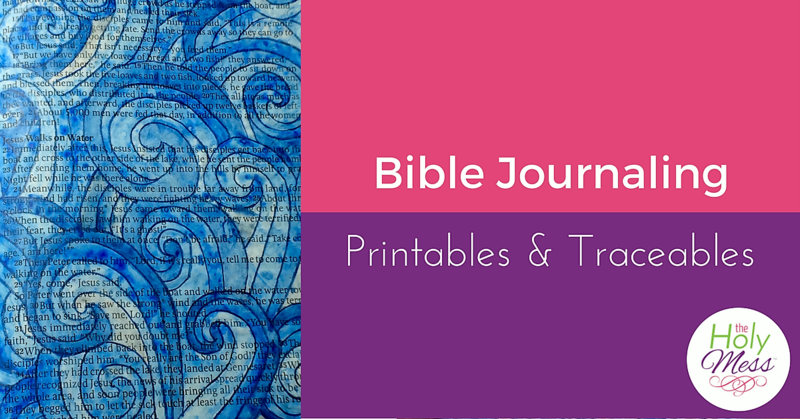 Keep reading for lots of ways to use printables and traceables to get that digital content onto your Bible journaling page. 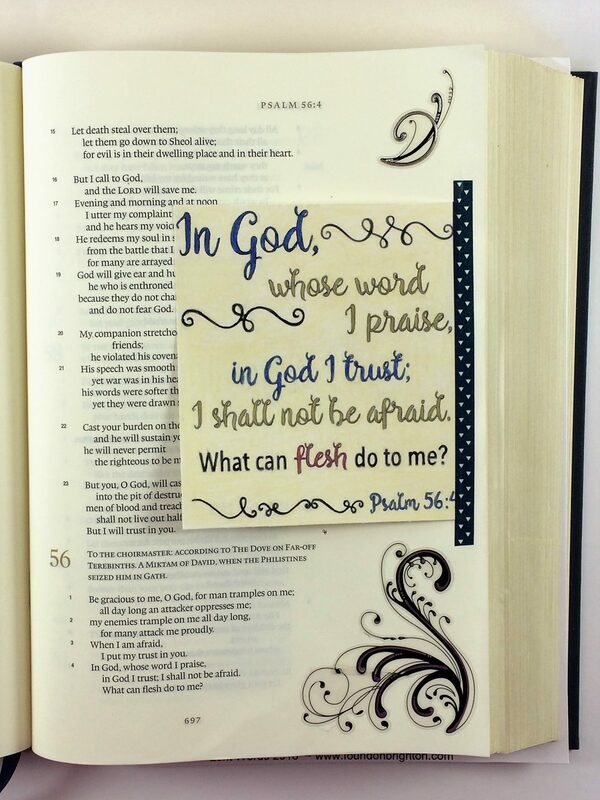 A printable is digital content that you print and then adhere to your Bible. Here are a couple of my favorites. 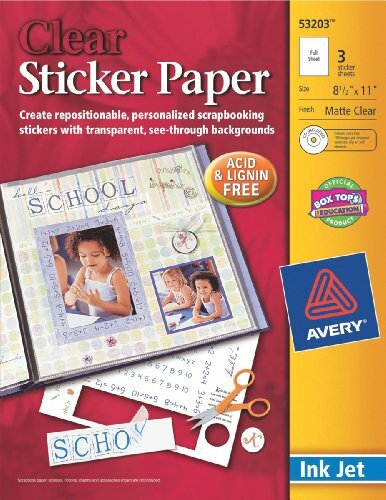 The easiest way to use a printable is to print on full-sheet sticker paper and then cut and stick. 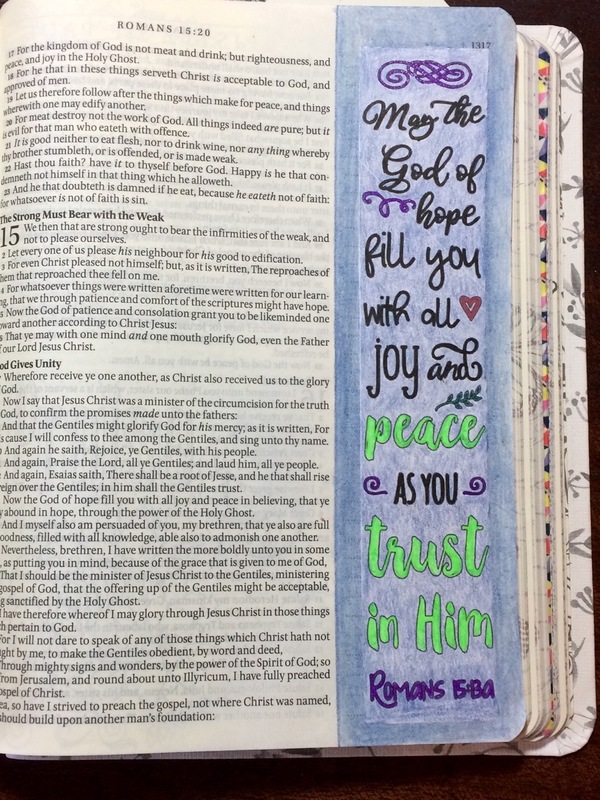 Clear sticker paper is great because the edges blend right in with your Bible page. 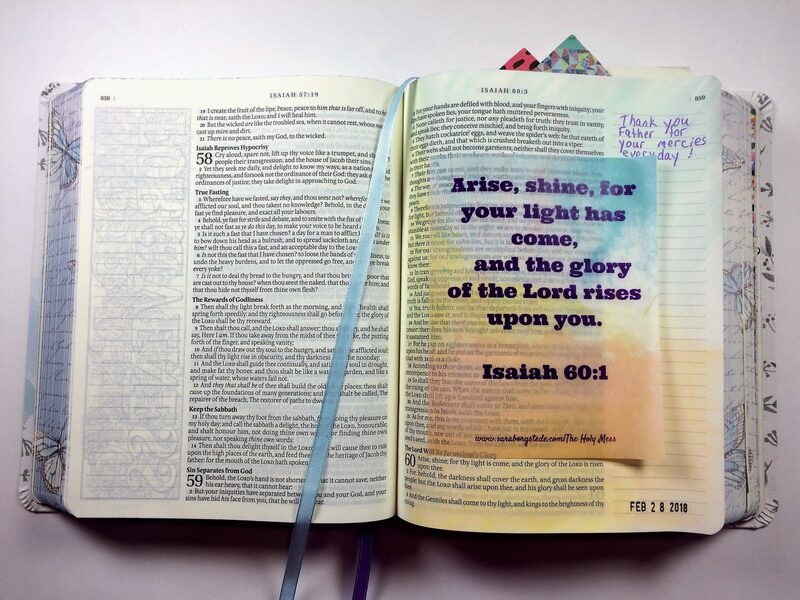 Use clear sticker paper with color printables for instant Bible journaling beauty. White sticker paper has benefits all its own. It tends to be less expensive than the clear variety. Use white sticker paper for printables that you want to highlight with your own coloring. Leave the background white or color it in for unique results. 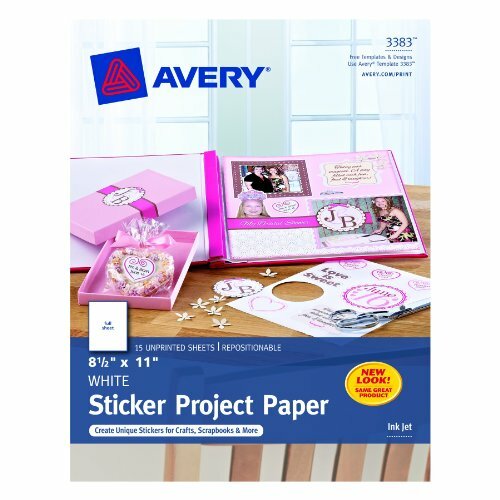 Sticker paper can get pricey, but there are many options for printing on paper too. Some graphics work best printing on cardstock . The thickness of cardstock make items such a verse cards and bookmarks marks extra durable. 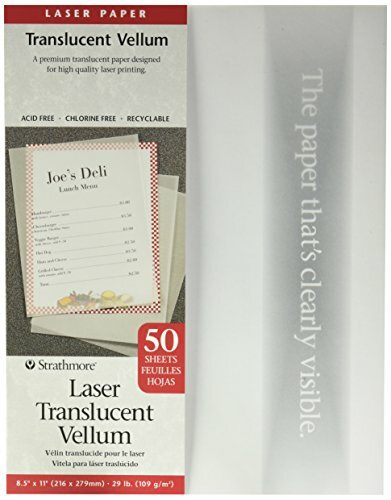 Vellum (and the more frugal alternative tracing paper ) are a good option for printables when you want transparency. 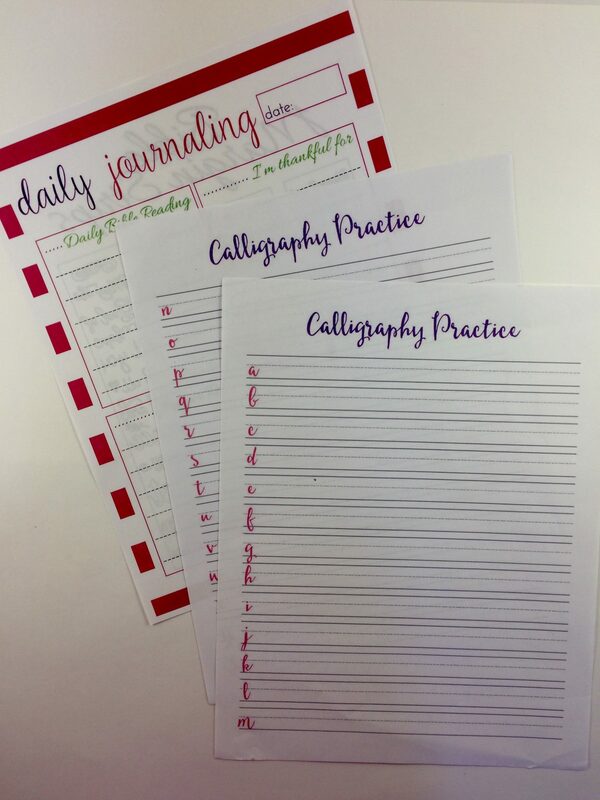 Vellum and tracing paper are great to make your printables into tip-ins. All these fancy papers can be expensive to keep on hand. Printing on basic printer paper and using adhesive is a great way to save even more money. 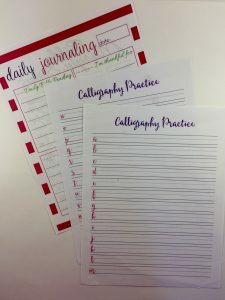 Basic printer paper is also perfect for journal and practice pages. Traceables use the same digital content as printables, but allow for the image to be directly on the page. Traceables tend to take more time, but the results are oh so dramatic. For most traceable methods you will begin by printing your image on basic printer paper. Check out this helpful video! 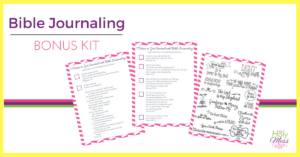 Get the Trust in the Lord Bible Journaling kit here. There are two ways to get your images onto your page. These techniques allow you to trace from the front. 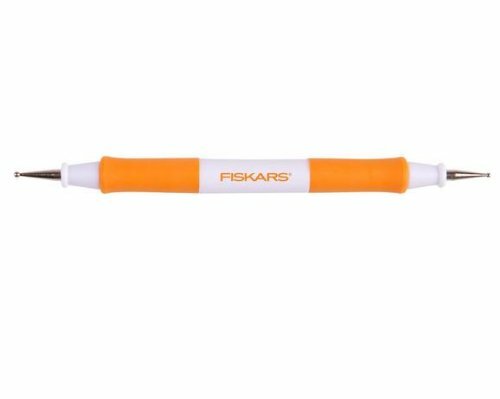 Another method for transferring your digital image directly to your page uses a basic pencil. To begin turn your image over and use a pencil to draw along the outside lines on the back of your image. 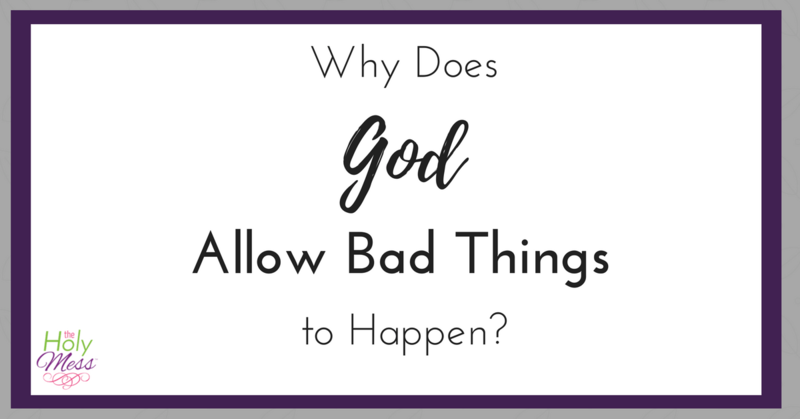 Then turn your image over and place it right side up on your Bible page. Lastly, redraw over the lines with the pencil on the front side. The graphite from the back will be transferred onto the page. This method produces lighter lines than graphite paper, but does require less supplies. Using the paper/pencil method is an easy and cheap way to transfer images to your Bible page. Graphite paper is a thin page covered with a light layer of graphite. 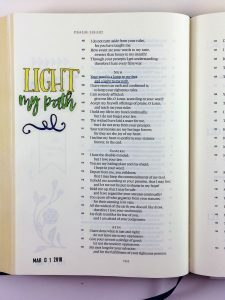 Begin by sandwiching this page between your Bible page and your image (with the graphite side against your Bible page). Next, tape down with washi for stability. Then use a tracing tool or pencil to trace along the lines of your image. This technique is fairly easy and extra lines can be erased if necessary. 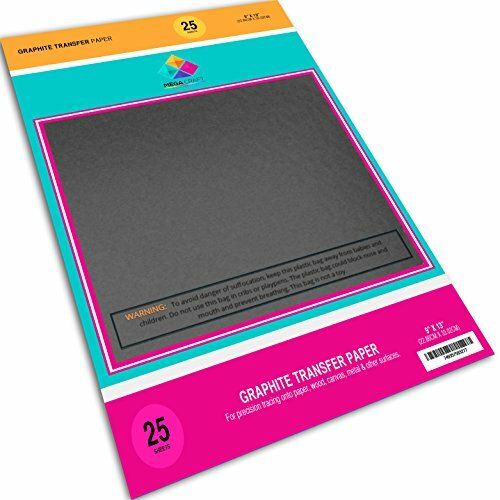 Graphite paper is one way to turn your digital content into a traceable. These techniques allow you to transfer your images to the Bible page from behind. Some days all works right in the world. On these days you can place your image behind your Bible page and clearly see enough to trace right on the page. I like these days. Other days, things aren’t so easy. On these days a light source can help to make this tracing easier. I like this inexpensive and lightweight light board. I place it behind the page and image to easily trace with a pencil. No light board? 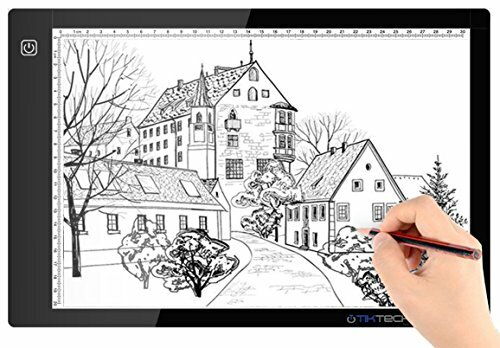 A tablet with a very light touch can also provide the light you need. 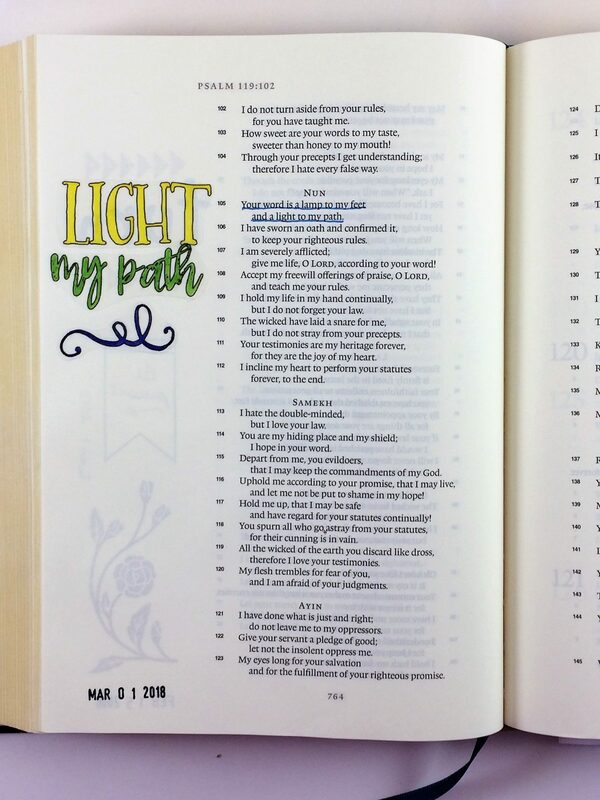 With a light source you can easily trace directly onto your Bible page. I have also traced directly from the tablet and skipped the printing step. Warning: This works best for simple images since keeping placement just right can be tricky. What techniques have you tried for transferring digital media? Tell us about it in the comments. 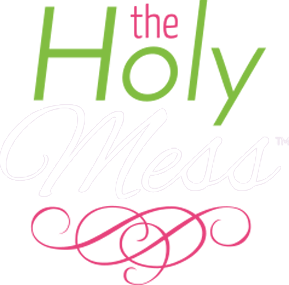 Visit The Holy Mess Bible Journaling Facebook group to share your latest creations. 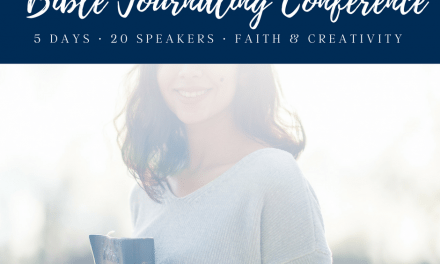 Momentum is a monthly Bible journaling kit subscription program. 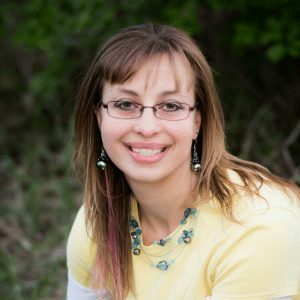 This program is specifically designed for the busy Christian woman who wants to grow in faith yet doesn’t have hours to spend searching through Pinterest for ideas and techniques. With this program, all the work is done for you, so each time you open your Bible everything you need will be right at your fingertips. 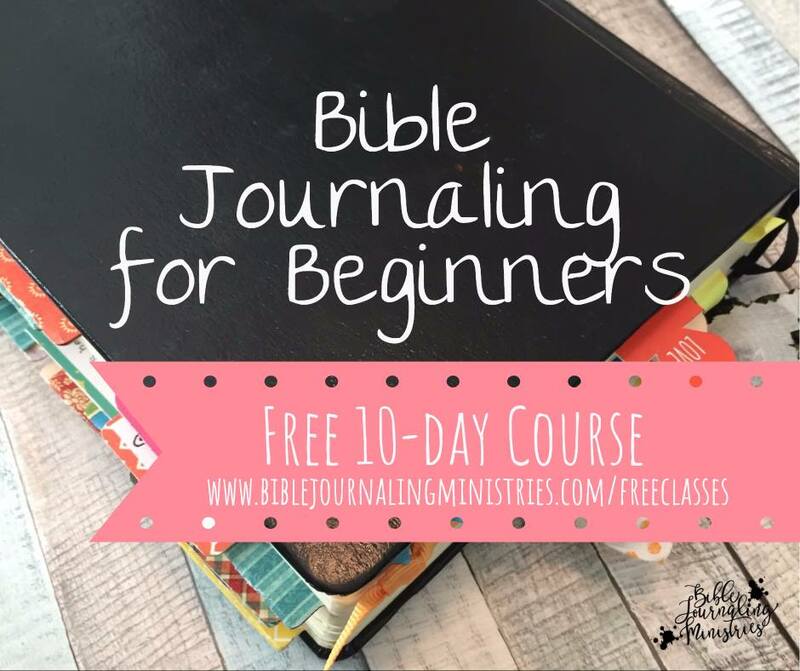 Click here to learn all about Momentum and your get FREE 10 day Bible journaling course to get started. 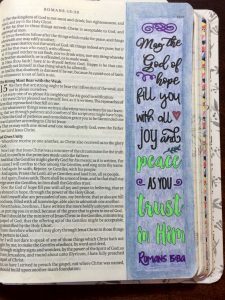 Bible Journaling On the Go! PreviousYou Belong. You Matter. You Are Important.